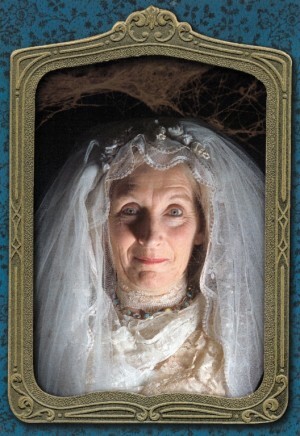 NSW Dickens Society together with Willow Productions are presenting 'Playing Miss Havisham'. Claudia lives in New Zealand. Her husband is a farm accountant and her son Ben plays in a band. When an eccentric Irish film-maker arrives to make a film of Charles Dickens’s 'Great Expectations', Claudia is keen to audition for the role of Miss Havisham as she sees it as a way out of her humdrum existence. As she prepares for the role, Claudia finds her own life takes on the twists and turns of a Dickens novel. A work of unexpected visual richness, 'Playing Miss Havisham' unfolds with mystery, music and surprise. Starring Helen Moulder as Claudia - complete with wedding dress and cobwebs - and directed by Sue Rider with piano music recorded by Richard Mapp. Interesting note: There is some conjecture Dickens based the character of Miss Havisham on a Sydney socialite Eliza Donnithorne (1826–1886) who was similarly jilted at the altar and lived a very reclusive life thereafter. She is buried in the Camperdown Cemetery at St Stephens Church, Newtown; the grave-site visited by members of the NSW Dickens Society in February 2005.